The Attenborough’s black-eyed satyr (Euptychia attenboroughi): male (upper row) and female. Scale bars – 1 cm. Image credit: Andrew Neild / Trustees of the Natural History Museum, London. 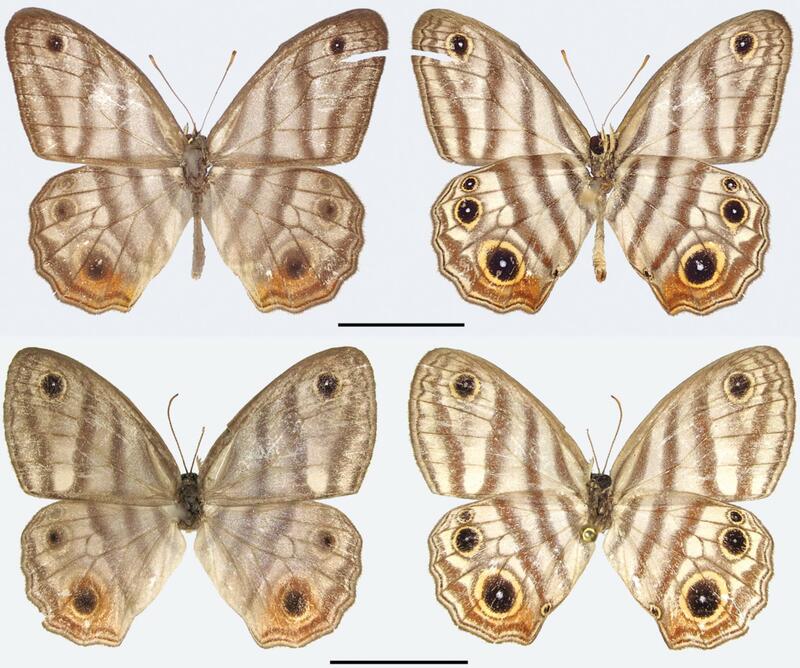 An international team of entomologists has described two new species of satyrid butterflies from the lowland tropical forests of the upper Amazon basin, and named one of them after the famed naturalist Sir David Attenborough.